It’s high time I put up another post… As much as you all seem to love the Hairy Bikers’ recipe (and I’ll be posting some more of my own recipes soon…) I thought I’d take the opportunity to post a restaurant review I wrote a couple of months ago for The London Word. Due to unforeseen circumstances (explained at the end of this post), they were unable to publish it – so I thought I would share it with you instead. Since the redevelopment of Old Spitalfields market over the last ten years or so, the atmosphere has transformed. Upmarket brands have set up shop, and a whole spate of chain restaurants have moved in – Las Iguanas, Wagamama and The Real Greek, to name but a few. While Le Bouchon Breton is not technically a chain, it was launched in 2008 on the back of the success of its sister restaurant, Le Bouchon Bordelais in Battersea. Both attempt to convey the atmosphere and style of a traditional French brasserie – Le Bouchon Breton has black and white tiled floors, a long pewter bar, and what felt like an entirely French-speaking staff. The menu is similarly inspired, focusing on simple French food – snails and frogs legs to start, mussels or steak frites as a main. However, it is their new Plateau de St Maxim that really offers excellent value for money. Served on a raised platter, the sharing dish consists of a whole crab, several large prawns, a good helping of clams and mussels, calamari and a small fillet of Gunard and cod. It is served with a basket of freshly-baked brown bread and butter, a 500ml carafe of Chateau St Margerite Rose Cru Classe de Provence and comes in at a reasonable £45 for two. There’s even a bit of theatre thrown in: upon arrival, the waiter flambées the entire platter with a shot of vodka. While probably not entirely necessary for a dish where the majority of the vodka ends up on the shells, it’s a nice gesture. Unfortunately the food came lukewarm, but the crab was succulent and sweet, and the accompanying sauce vierge brought out the best in the fish and shellfish. The paired wine was rather dry, but was still light and refreshing and complemented the dish well. Le Bouchon Breton have also recently opened their terrace, large enough to seat about thirty. It’s a lovely addition to the restaurant, but feels a little bittersweet. It would be stunning to sit outside on a long summer’s evening, catching the last of the sun’s rays over your meal – if you closed your eyes, you could almost be in Britanny – but alas, the terrace remains firmly indoors, overlooking the central area of the market. That said, given the summer we’ve been having so far, it might not be such a bad idea after all – there aren’t many places where you can eat al fresco and not have to run for cover the moment the heavens open. Plateau de St Maxim is available until the end of August. Well, it would be if the restaurant were still open. Sadly just a week after my visit, Le Bouchon Breton closed its doors. Apparently, despite the packed terrace on my visit, they just weren’t covering their costs – so either they were making a serious loss on the Plateau de St Maxim and had sold thousands, or (more likely) they just weren’t getting in enough crowds to justify the rental Old Spitalfields market probably demand. You can still visit and support their sister restaurant, Le Bouchon Bordelais in Battersea, to stop it from heading the same way, but if you’re looking for top-notch French bistro-style dining, I’ve heard Zedel is the place to be. It’s on my Hit List. Last night I went to the launch of One Blenheim Terrace. Located in the leafy neighbourhood of St John’s Wood, this intimate restaurant focuses on classic British dishes, stripped back and delivered with a twist. 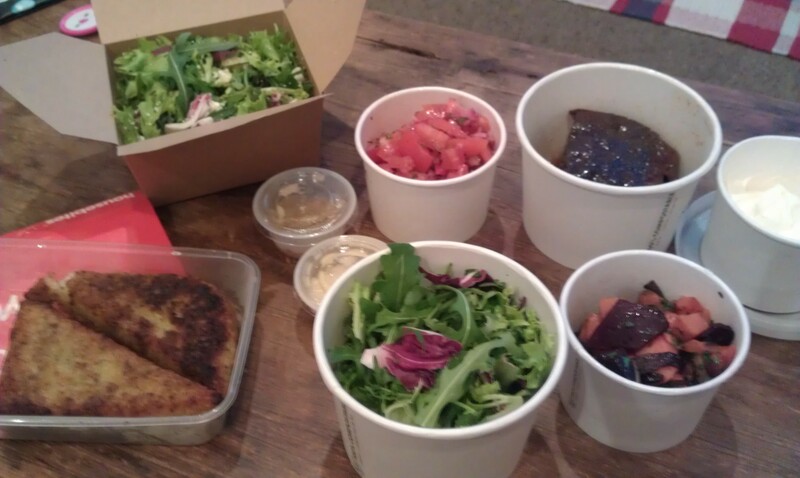 We were served miniature versions of 3 of the best starters, mains and desserts, each with a paired wine or beer. 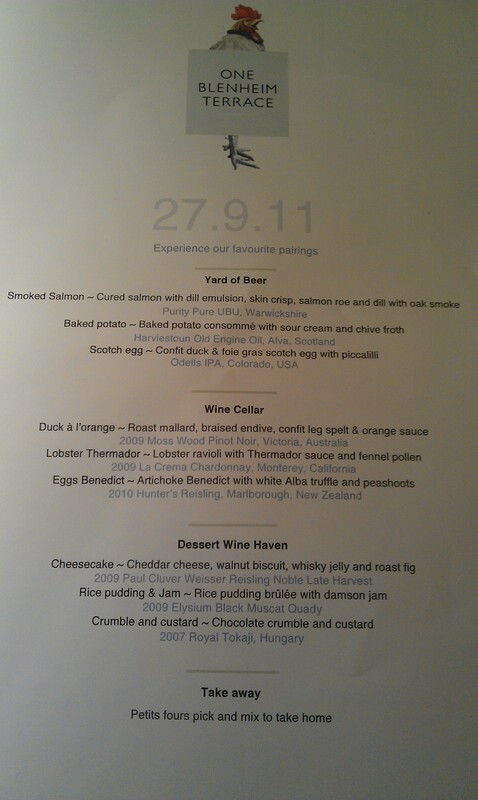 The full menu for the evening is below, but here are some of my highlights. Incredible – like drinking a baked potato (much nicer than it sounds!) Comfort food in a shot glass. I also heard that the dish in its full form comes with the consummé served in a glass teapot, which you pour over sour cream and chive gnocchi, garnished with edible flowers. The spelt was a beautifully earthy balance to quite a sweet orange sauce, which complemented the duck brilliantly. Worlds away from the garishly overpowering sauce you often get with duck à l’orange. 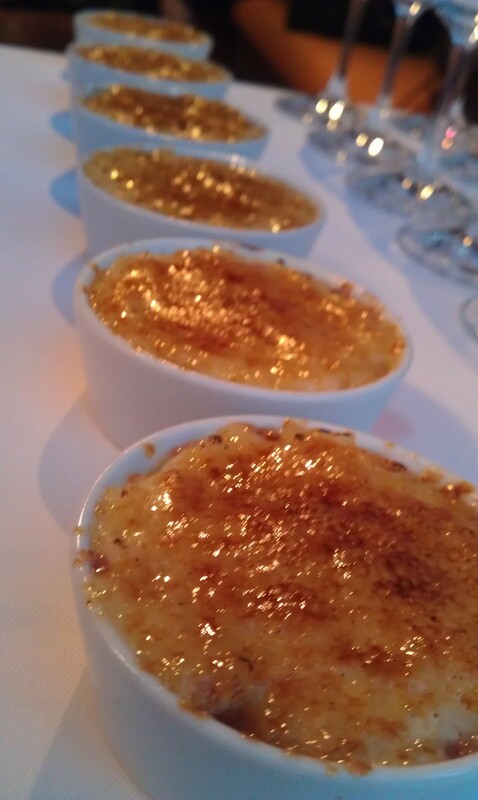 Just finding rice pudding on the menu made me smile, but the fact that it was well-balanced with the sweet, almost sauce-like damson jam, just the right consistency and topped with a crisp shell of caramelised sugar made it fantastic. It was also paired with a lovely 2009 Elysium Black Muscat Quady, which amplified the damson and berry flavours magnificently. Of course, not all the dishes worked perfectly – the white Alba truffle was a bit lost atop the Benedict sauce in ‘Eggs Benedict’, which was a shame. And the ‘Cheesecake’ with cheddar cheese and whisky jelly was quite savoury and fell somewhere between the dessert and cheese courses – but perhaps that was the point. On the whole though, the food was excellent. The driving force behind One Blenheim Terrace is Ed Shaerf. He’s an accomplished chef, having worked at establishments such as The Ivy, Sugarsnap and Claridges, but this is his first solo venture. 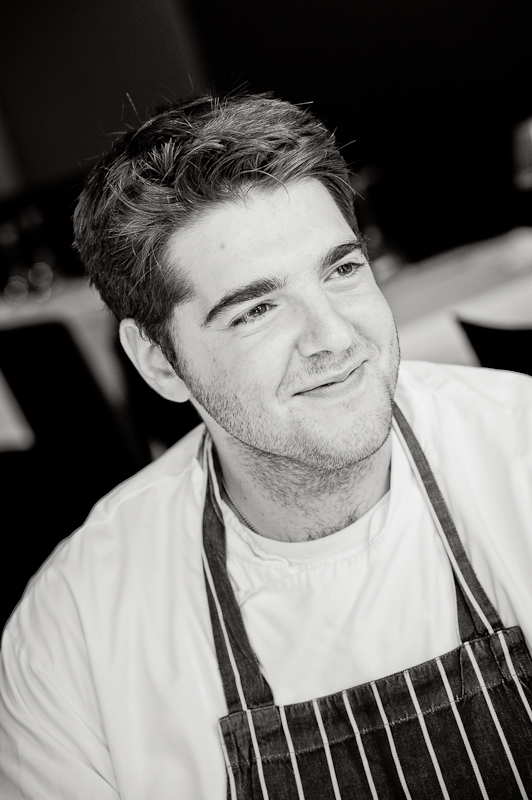 He’s passionate about serving serious food, with serious service, in a playful style and light-hearted atmosphere. The menu takes you back to your childhood, celebrating the best of British produce and food, while delivering beyond expectations on taste, presentation and innovation. This is Great British Food at its best. 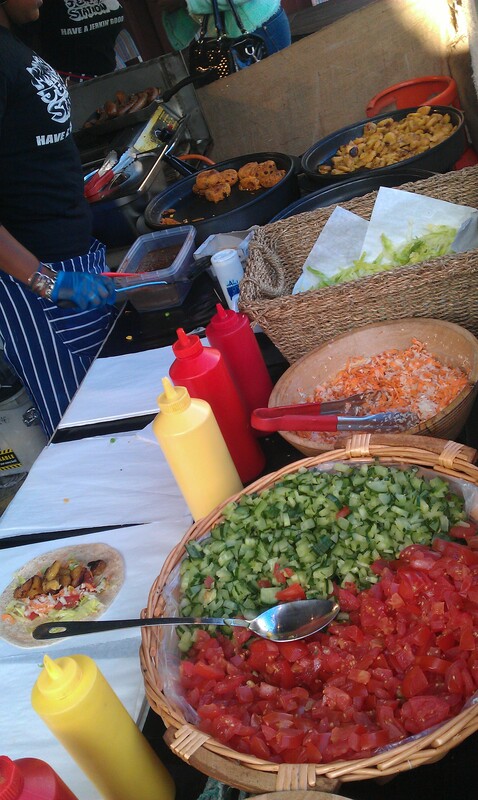 Price: Starters around £9, Mains around £20. However, dine before 7:30pm and the set menu is £16 for 3 courses. Locaton: NW8 0EH, 10 minutes walk from St John’s Wood (Jubilee), Maida Vale (Bakerloo) and Kilburn High Road (Overground).